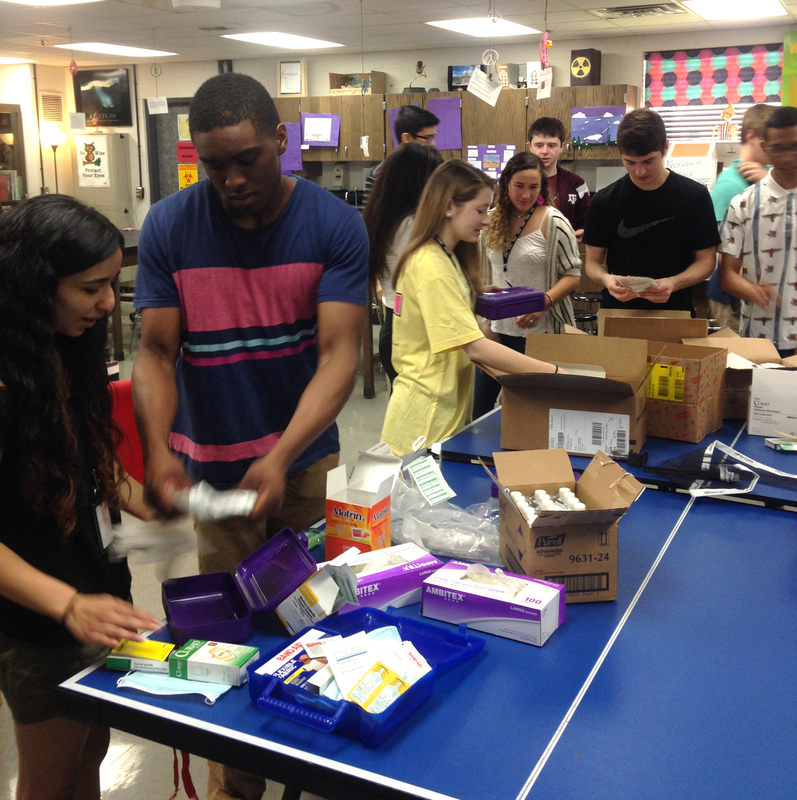 One high school biology class paired their study of the immune system with a passion for helping others and their project will be traveling to Ghana this spring! 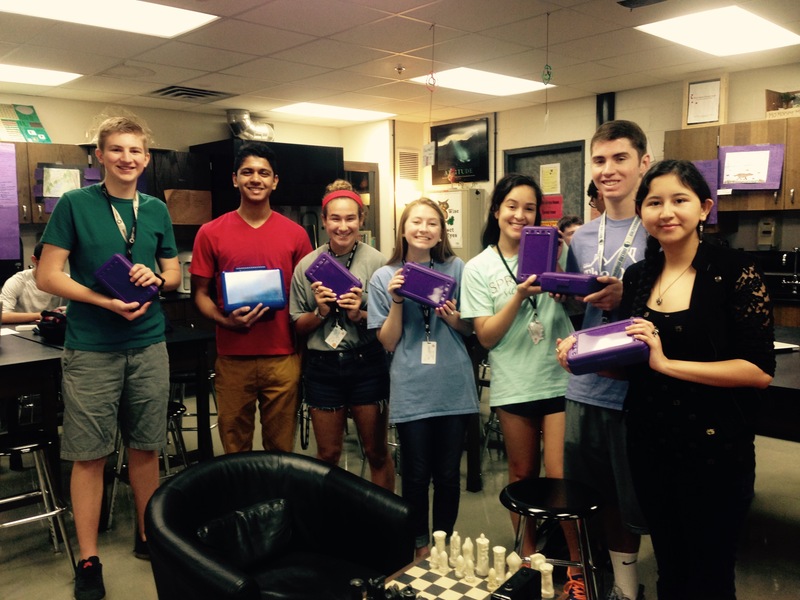 The AP Biology class at New Tech High @ Coppell, lead by Senior Science Facilitator and Community Service club sponsor, Kim Wootton, came up with a plan to create specialized first aid kits for the Touch A Life Care Center in Kumasi. “At the same time the students were studying the immune system, Ebola had made it’s first appearance in the U.S., and the teens realized that the Touch A Life Care Center in Ghana was located near the area of crisis. They wanted to apply what they learned about the spread of diseases to creating prevention kits in order to continue our relationship with Touch A Life. Therefore, they researched affordable kits which contain items to disinfect and/or block pathogens, made prototypes, voted on the best, raised money to buy supplies, then came together to assemble the final packages: 25 kits in all,” said Wootton. 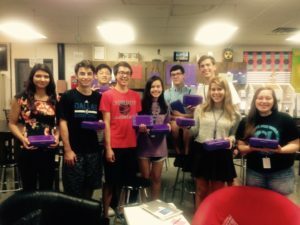 New Tech High @ Coppell previously partnered with Touch A Life in 2009, putting together care packages, writing letters, and raising money to purchase laptops for the Touch A Life children. This year’s project easily integrated with the student curriculum, and provided a hands-on learning experience. Each first-aid kit contains the basic items of a first aid kit (bandages, gauze, antiseptic, etc. ), but also contains gloves, face masks, hand sanitizer, and other items that people can access to protect themselves from infection and disease if the need arises. “During this project, the students studied the cause and spread of disease, how the immune system works, and the body’s basic defense mechanisms. They then researched what existing kits commonly contain. Finally, they did a cost analysis. The goal was to provide something that was affordable, easily refillable, and transportable,” explained Wootton. The specialized first-aid kits will be taken with the Touch A Life team to Ghana in May, and placed in each building on our Care Center campus. Thank you to all of the students and teachers who made this important project possible! If your class is interested in partnering with Touch A Life, you can contact our staff, or learn more about our Quarters For A Cause program. Wonderful work! Your heart for service and advocacy for your passion is inspirational. Thank you for your commitment and care for others.